1. The war was fought in defence of democracy. 2. Britain went to war due to a treaty obligation to defend the neutrality of Belgium. 3. German aggression was the driving force for war. 4. Germany had started a naval arms race with Britain. 5. German imperialism was uniquely vicious and had to be challenged. 6. Public opinion was united in favour of the war, as shown by images of cheering crowds in 1914. 7. 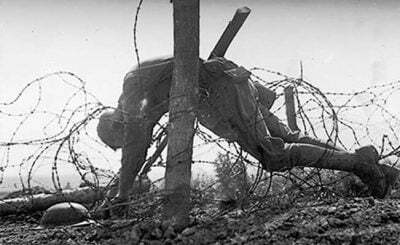 The morale of British troops fighting on the Western Front remained intact to the end of the war. 8. The military leadership, notably General Haig, was not a bunch of incompetent ‘donkeys’. 9. The end of the war saw the triumph of liberal capitalism, against collapsing autocratic Empires. 10. The war achieved anything worthwhile whatsoever.